When I first arrived in Heidelberg, Germany I recalled it looking like something out of an old fairy tale — a riverside city surrounded by lush vineyards and the Black Forest with a castle on a hill overlooking the city below. 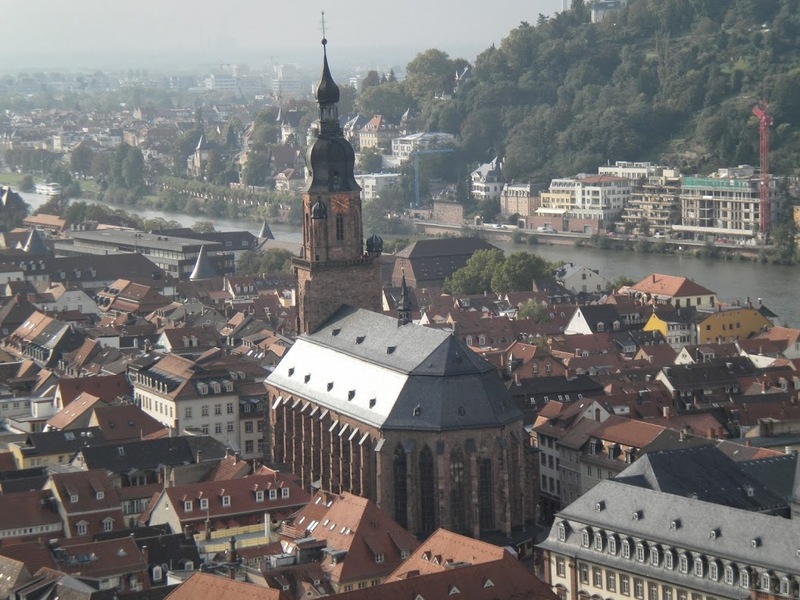 Heidelberg has always had a reputation of being a place of culture and history rather than a major industrial hub. This coupled with the fact that it was spared bombing during WWII has made it an ideal destination for tourists and historians looking to experience both the natural beauty of the area and its preserved history. Initially, I traveled to the quaint German city for practical and sentimental reasons; I had family friends with whom I could stay and my father grew up on the U.S. Army base in Heidelberg. 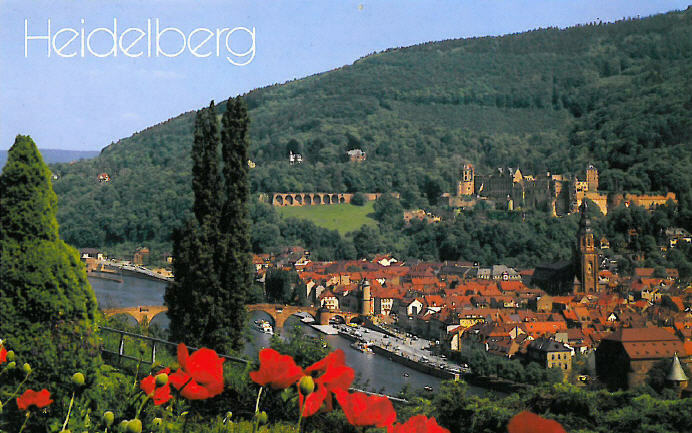 But, since my first trip there — Heidelberg has given me many reasons to go back. The Alstadt or Old Town sits directly below Heidelberg Castle and runs along the Neckar river. This part of town is breathtaking with its beautiful orange and red roofed buildings that are centuries old. The district is filled with hotels, shops, restaurants, market squares and scattered department buildings belonging to the world famous University of Heidelberg. The main street or hauptstraße of the Old Town is a haven for pedestrians looking to roam around shops and pubs. The shops are mainly department stores and large chains but if there is one store worth poking your head inside, it’s Kathe Wohlfahrt. If you are curious how Germany wins Christmas every year, you just need to step inside this place to understand. This German chain, that serves as a year-long winter wonderland, specializes in handmade traditional German Christmas ornaments and is a great place to pick up a few souvenirs for friends back home. The hauptstraße can be very crowded but the smaller cobbled streets leading off the main road have less people and seem to exemplify more local color. These small streets are where you will find numerous locally owned businesses and get a taste for the real Heidelberg. One of these cobbled side streets is called Steingasse and if you walk down it you will find a brewery called Vetters Brauhaus. Vetters (pronounced “Fetters”) is worth stopping in for one simple reason — they brew the best beer I have ever tasted. The beer I am referring to is their dunkelweizen or “dark wheat” beer . Order it in a steiner and enjoy over a skillet full of fried onions and sausages with a side of homemade sauerkraut and freshly baked pretzels. During both my visits to Heidelberg it has always been the best meal on either trip. In the old town there is one structure that towers high amongst all the baroque style buildings — Heiliggeistkirche (Church of the Holy Spirit).This ancient church has existed in Heidelberg since at least the 1200s and stands as a major landmark in the middle of the Old Town. Throughout the main floor of the church are a series of stained glass windows; some that are centuries old and others only a few decades. These newer stained glass windows replaced ones that had been destroyed when the Germans bombed the Old bridge of Heidelberg, nearby, as they fled the Allied Forces. When I visited the church, I remember one of the newer windows stood out. I didn’t understand the image, which was of a large red cracked sphere, until I read the words on the glass –“E=MC2.” It struck me as both odd and ironic that Einstein’s famous equation was displayed on a stained glass window…in a church. Then I saw the date also displayed in the glass and no more explanation was needed — August 6, 1945. The day the atomic bomb was dropped on Hiroshima and Nagasaki. Once you leave the ground floor of the church and begin the ascent into the tower do you truly see how old the structure is. As you climb upwards, the walls become incredibly close and the passage very narrow. It’s not a journey for those who are claustrophobic or even those with wide shoulders. There is even a rope to help support you along the last path as it’s very steep. But, upon getting outside and onto the platform at the top — the view is absolutely worth the trouble.